At the UI Health Pharmacies, we care about your health. We believe in treating everyone who walks through our doors as our guest, and we are here to help you with your medications. We strive to provide a full range of pharmacy care and medication management at the highest quality and to ensure safe, smart, and cost-effective use of medications to achieve the best results for you. Your health and safety are our top concern. Why Choose UI Health Pharmacies for your Prescription Needs? 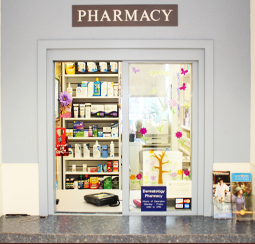 The UI Health Pharmacies offer a full range of pharmacy services and are a fully integrated unit of UI Health. Through access to your UI Health doctors, health care team, and health records, we are able to offer you coordination of care by a providing safe, effective, and comprehensive medication management services.